What was your source for the cabinets? - I do not love all the walnut I see, but I think you walnut is absolutely beautiful. We are trying to find solid wood cabinets that won't leave us in the poor house, any recommendations?? XYZ Plans is correct on the walnut. Your best option is the find a good example of what you like, for example walnut and send the picture in with the project. It helps the builder and the veneer company match as close to your specifications. 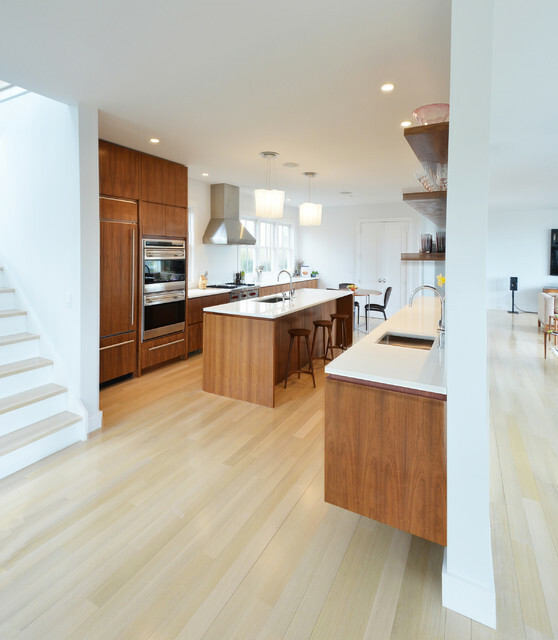 This shows what walnut cabinets with different wood floors and white countertops would look like.